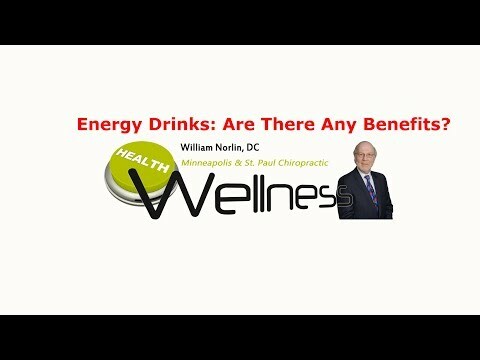 Chiropractor Minneapolis St. Paul – Energy Drinks: Are There Any Benefits? With over 500 energy drink products on the market today, the energy drink industry is a multibillion dollar global business. So, do the benefits of consuming energy drinks outweigh the risks? Watch this video now to find out what the research says about energy drinks, how effective they are and how dangerous they can be. Click the Red More Button in your email or the image below if you are on our website. Some insomnia cases could be caused by complex chemical interactions in the brain resulting from subluxation, according to a recent paper published in the Journal of Sleep Medicine & Disorders. Watch this video now to find out the best way to treat a subluxation and a few other tips on dealing with insomnia. Click the Red More Button in your email or the image below if you are on our website. That morning cup of coffee may have a possible cholesterol-raising effect. Several studies over the past decade have shown a link between coffee and cholesterol. Cafestol, a coffee oil found in both caffeinated and decaffeinated coffee seems to be to blame. Watch this video now to find out which coffee is safest and the best way to brew your coffee. Click the Red More Button in your email or the image below if you are on our website. Chiropractor Minneapolis St. Paul – Cell Phones: Harmful to Your Health? Cell phone radiation potentially has health implications that we need to look at. There are two major types of radiation. Ionizing radiation (such as from X rays) has been linked to cancer and cell damage. Non-ionizing radiation, from radar, microwave ovens, cell phones and other sources, has not been linked to cancer, but can heat up and damage tissues. Watch this video now to find out if your cell phone is cooking your brain cells. Click the Red More Button in your email or the image below if you are on our website. Research now shows that regular exercise may not be enough to offset the health risks associated with too much sitting, even though it is well known that a regular exercise routine improves your metabolism, reduces your risk of diabetes and certain cancers, helps you maintain a healthy weight and improves your cardiovascular health. Watch this video now to find out the simple changes you can make to counteract the effects of too much sitting. Click the Red More Button in your email or the image below if you are on our website.